To be honest, I think this movie is over-rated, but I picked it out of the $5 movie bin because my husband likes it. 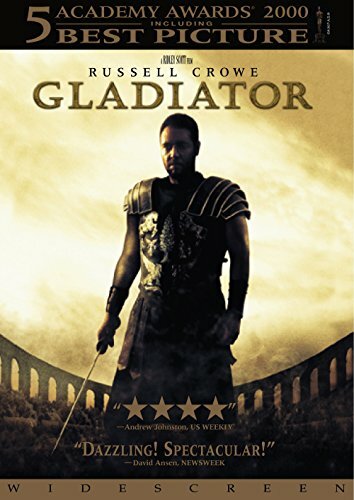 Gladiator has much to recommend it: excellent performances, impressive visuals, classic fight scenes, beautiful score, and cool costumes, among other things. However, I’ve always found the plot a bit paint-by-numbers and predictable to a degree that takes away from the movie as a whole, more so because guy-seeks-revenge-for-murdered-family is NOT a favorite trope of mine.